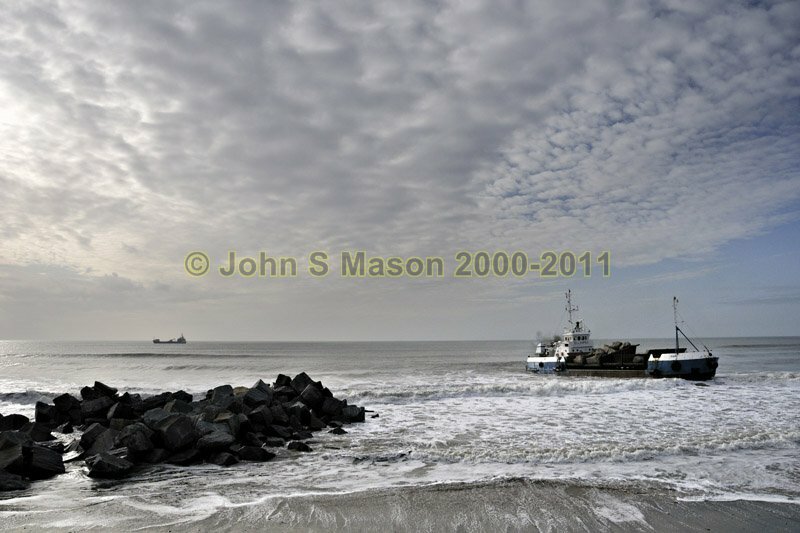 The Tywyn Sea-defences Project: a shore-barge steaming in to drop more boulders off. Product number 021064. Email me to enquire about this image: click HERE.